888 Casino is a stalwart of the gaming fraternity. A veteran, an unwavering presence, a respected online gambling site that’s been there from the very start. Having first launched back in 1998, it can rightfully claim to have played a vital role in the very development of the industry. It existed at a time when there were few precedents, and the rules were there to be written. We’ll say this from the outset: such longevity is seriously impressive. The 888 Casino team are working in a dynamic space where new brands pop up all the time. However, it also comes with its challenges. If older sites don’t evolve, then they’re quickly usurped by younger, fresher offerings. 888 Casino has helped its cause by diversifying. They now offer a sportsbook, poker, backgammon and bingo under one flag. But we’re interested in the online casino here. Does that still measure up against its peers? The late 1990s were an exciting time and 888 Casino UK was there. The internet had reached virtually every home and was revealing its potential in lots of different spheres. Then the first online casinos appeared, providing access to slots, roulette and poker from the comfort of your own home. The games were creative, fun and provided entertainment for people who had never stepped foot inside a real-life casino. The first, pioneering sites needed to be ready for the challenge, and 888 Casino was. It’s strong green on black branding remains. It has adapted to the mobile market and added scores of new casinos to its group, included our namesakes 777 Casino. Few sites have established a stronger identity, but the 90s are also long gone, and 888 need a visual update. Now, I’d lost track of 888 Casino for many years. Its not to come back and see 888 is now also a desktop online casino and not just download only. I want to play my games through a browser nowadays, but it took them a while. That’s why I was delighted to find that you exactly that now when I visited again to prepare this review. It’s allowed them to improve the visuals of the site. The registration process has been modernised and looks much like Wink Slots’, which is another member of the group. The games open in a separate tab but you need to take heed of the constant warnings to switch to full-screen mode (if you’re on a laptop), or else you’ll find that half the reels disappear off screen for some games. There have been improvements but honestly speaking, they have some way to go. Compared to other sites, 888 Casino does look a little dated. The game thumbnails are a little grainy, and the design of the site doesn’t make the best use of space. It will stir some nostalgia in you, but it’s a bit of a halfway house between the old and the new at the moment. The improvements to the 888 login and registration journey have made a difference. First impressions mean a lot to players, and this is a tidier one nowadays, full of friendly greetings and prominent, modern field placings. 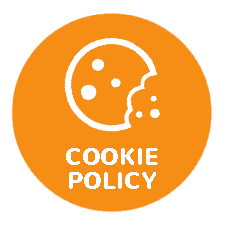 You need to verify your account by mobile phone (you’re emailed a code to type in) before being directed to either deposit or browse the casino. You do need to retrieve an email to claim your ‘no deposit bonus’. That seems a bit unnecessary; you’d imagine they could direct you to the ‘Wheel of Fortune’ feature straight away. One click from your email and you’re there though. The wheel looks suitably retro and will award you a chunk of ‘free play’ cash between £15 and £888. I got £20, but there came my first slight issue. It took me a while back in the ‘lobby’ to find my bonus. I made my way to my account, but it was listed under the ‘bonuses’. It wasn’t showing as balance either! It turns out that you have an entirely separate tab called ‘free play’, and the cash you’ve received is treated differently from a ‘bonus’. For me, this is unnecessarily complicated and could have been more easily signposted. We’ll return to the welcome bonus later in the review and concentrate on other elements of the 888 Casino user experience here instead. I don’t want to be too down on the UX of the site, but I naturally find myself casting a critical eye over such an old brand that has some flaws. Make no mistake, though – 888 Casino has improved. Merely by switching to in-browser play, they’ve improved usability and laid the groundwork for further upgrades to come. It could still introduce better filtering and search functions for the games, and a more simplified ‘My Account’ section (the latter should be available from all pages too, not just the lobby). But it took me all of ten minutes to work out how to navigate the site; it’s not like all is lost such an experienced team will surely concentrate on further improvements to come, so the experience compares more favourably to rival sites. They’ll need to address bugs. I found a couple of T&Cs that wasn’t working from my Windows laptop (nothing happened when I clicked on the links) and I’ve suffered a couple of game crashes too. That doesn’t help dampen the impression of a slightly dated site that still needs a bit of a spruce up here and there. As I said earlier in this review, 888 Casino is a multi-product gaming solution. You can effortlessly switch between the casino, sportsbook, live casino, bingo and poker. That’s bound to appeal to lots of people, and we hear that the sportsbook is excellent too. As for our focus – the online casino – it boasts a great selection of games, worthy of such an experienced brand. When you play at any online casino in the 888 Casino group, you get the chance to play slots that you won’t find anywhere else. They have their games studios that are responsible for releasing proprietary software of titles that appear in the 888 Casino catalogue. Indeed, these games are released under two different monikers – Random Logic and 888 Gaming. These games feature in loads of 888 Casino’s bonus promotions, including the ‘free play’ welcome bonus – so you’ll have plenty of opportunities to try them out. We recommend Jack’s Pot here at 777 Casino. The free spins round seems to appear regularly, wins are frequent, and the game has a fun theme. The uniqueness of the in-house games is complemented by titles from some of the bigger names in the industry too. There are no MicroGaming slots at 888 Casino, but NetEnt games feature heavily. It’s a shame that none of their progressive jackpot games cuts, but many of our favourite video slots, such as Gonzo’s Quest, Guns N’ Roses and Jack and the Beanstalk do a feature. The filtering options are a little bit clunky. I find myself gravitating towards the ‘Exclusive’ section of the games grid, which naturally encourages me to try out some slots that I haven’t played because that’s where all the in-house produced games are listed. It seems impossible to discuss 888 Casino’s games catalogue without coming back to those. It’s the exclusives that make up for the lack of the better known progressive casino jackpots. Not only do they include loads of local jackpots, but they also have five networks games that share a jackpot across all brands in the group. You will struggle to find a better selection of games on other online gaming sites. We have a dedicated 888 casino live review, so we won’t go into the live dealer catalogue too much, except to say it is comprehensive. You will find all the dealer games and live dealer games you desire. 888 Casino bonus list is extensive. First and foremost we have secured an exclusive deposit 200% bonus up to £300 using deposit code welcome200. This compares to the standard crappy 100% up to £100 casino promo. 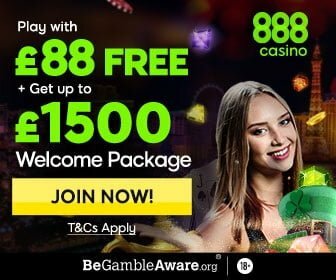 The second bonus, the 888Casino premium welcome package is worth up t £1500 in your first week. Now, the third bonus is the 888 casino 88 free play bonus is effectively no deposit free cash. Firstly, you can only play it on select games. That’s fine, but it took me a while to work out what they were. It listed ‘Santa’s Super Slot, European Roulette and eight more games’ in the My Account section, but I had a bit of a job deducing which games they were. I rechecked the email and saw links to some ‘popular games’ at the bottom. It appears that those games – including Jack’s Pot and Irish Riches – are included in the offer. This makes sense as they are both made by 888 Casino’s in-house game manufacturer. Wink Slots makes similar use of these games. Maybe it’s just me being stupid, but I’d have expected it to be a bit easier. Secondly, you have 48 hours to claim your free play bonus so act quickly if you want it, and it also expires seven days after activation. Finally, winnings are shared in bonus cash and capped at the value of the bonus unless you’re jammy enough to hit a jackpot win. In other words, if you get a £20 free play bonus as I did, you can only win a maximum of £20 in bonus cash by using it. That said, there is also an overall maximum win of £500 so if you do land the most significant free play amount on the wheel of fortune, which is £888, you can only score a win of £500 from your bonus. The free play is still a fantastic way to get to know 888 Casino and some it’s unique games, that said. A 100% first deposit bonus also supplements it up to £100. Wagering requirements sit at an industry average x30, and you have 90 days to fulfil them if you want to claim your winnings. WHY BECOME A REGULAR AT 888 CASINO? 888 Casino has hordes of fans that have remained loyal for years. But why would new players sign up for this long-established casino brand? The breadth of services on offer is undoubtedly part of the appeal. Registering for the casino provides access to a host of other gaming options, and makes it an obvious choice for the all-around gamer. They also have a well-oiled loyalty scheme that rewards player loyalty with bonuses and other fillips. For me, however, there are better bonuses to be found elsewhere. It’s the games selection, including all those unique slots, that make 888 Casino should a compelling place to play. I’ll say this though. For a casino of its ilk to be lacking live chat support in the year 2017 is downright odd. They’ve incorporated telephone support for UK players, and it’s licenses – granted by the Government of Gibraltar, the MGA and UK Gambling Commission – prove it’s trustworthiness. But you have to include live chat these days. I hope they rectify it soon. Most of us rarely need to contact the customer service team at any casino, but it’s good to know that instant help is there if you need it. If nothing else, 888 Casino needs this to keep up with its peers and rivals. I hope they rectify it soon because I’m sure that it affects player numbers. There’s no room for complacency. 888 Casino mobile gaming was around long before. For these veteran sites, the transition to mobile gaming can be challenging of course. Whereas new casinos will consider branding across all platforms when designing their website, older sites have had to consider a bit of backward engineering. In general, the 888 Casino team have done an excellent job. There’s very little wrong with their mobile site. I’m impressed by the number of in-house games that have been adapted for the small screen. I’ve also experienced none of the glitches, such as broken links and crashing games. I’d usually mention live chat here and whether it has been incorporated into the mobile site. However, as 888 Casino don’t have it on there desktop site, they, of course, don’t have it here. You do get a great selection of games in a no-frills mobile casino though. It’s available on Android and iOS (iPad and iPhone). We’ve been quite harsh on 888 Casino in this review. Perhaps any disappointment about some of the flaws that persist is born out of the site’s almost unparalleled longevity. As an experience gambling industry site, they should have ironed out problems such as broken links and incorporated live chat by now. I don’t want to be too harsh, however. 888 Casino has lasted because it’s secure, trustworthy and has a unique games catalogue. The site’s in-house game development is a big plus, and it’s amazing how many hours you can while away playing them. Let’s not forget the no deposit cash bonus too, because no other site gives you the opportunity to pick up at least £15 in no deposit free cash, let alone up to £888. That and the 100% bonus you’ll receive with your first deposit give you a perfect chance to one of the most experienced online casinos for free. The minimum withdrawal limit is £15. 888 may require a copy of photographic ID, a copy of the front and back of the credit/debit card and proof of address. Be the first to review and rate 888 Casino!